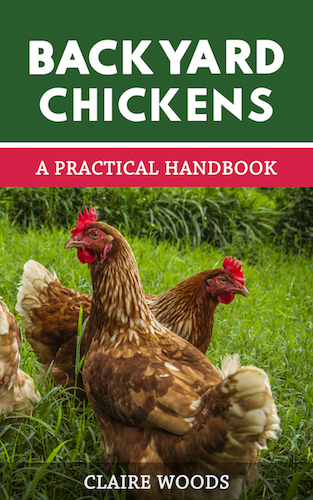 The majority of these chickens can be found quite easily on hatchery sites or even private sellers. 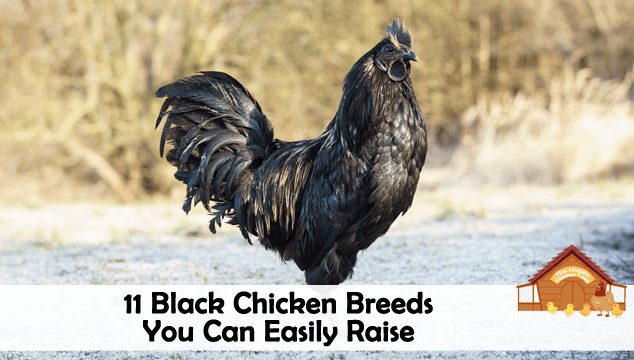 There are of course, several more black breeds but they are much rarer and not easy to locate…and expensive! Eggs are cream colored and medium in size. 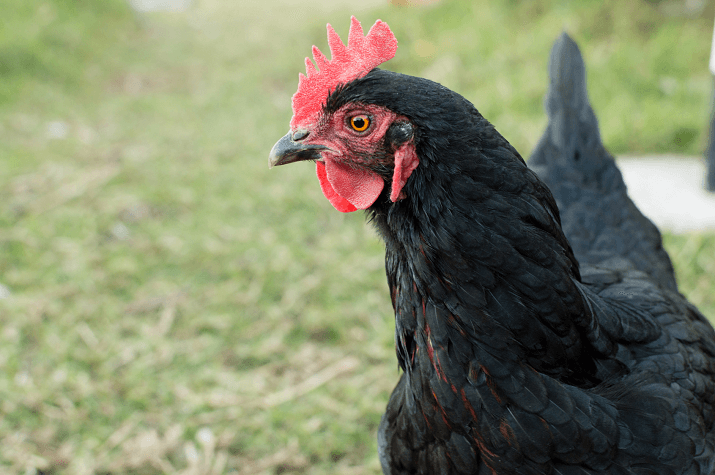 The Ayam Cemani has a cyclical laying pattern where they will lay 20-30 eggs, then stop for a while before they start again! In this manner they will lay around 80 eggs per year. You can read our complete guide to Ayam Cemanis here. 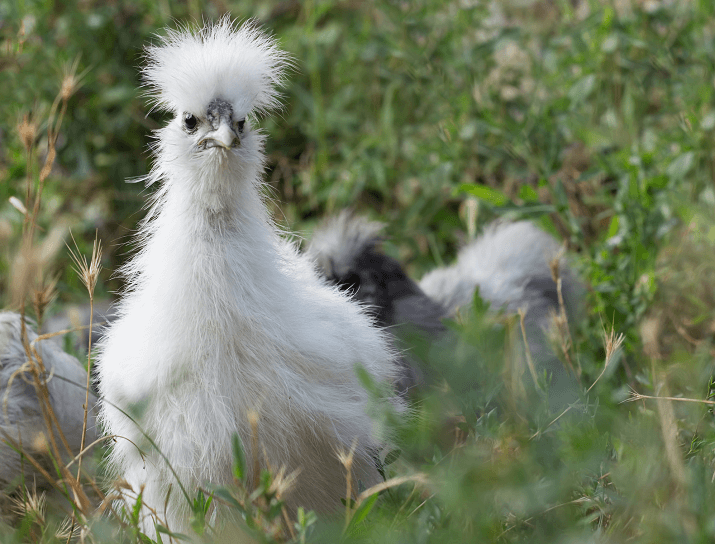 Next up on our list of black chicken breeds is the Silkie. 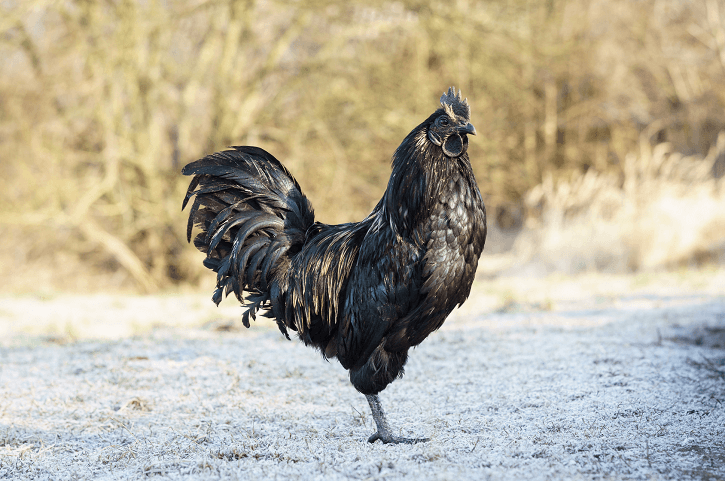 Although not quite as black as the Ayam Cemani, the Silkie has black flesh and bones. 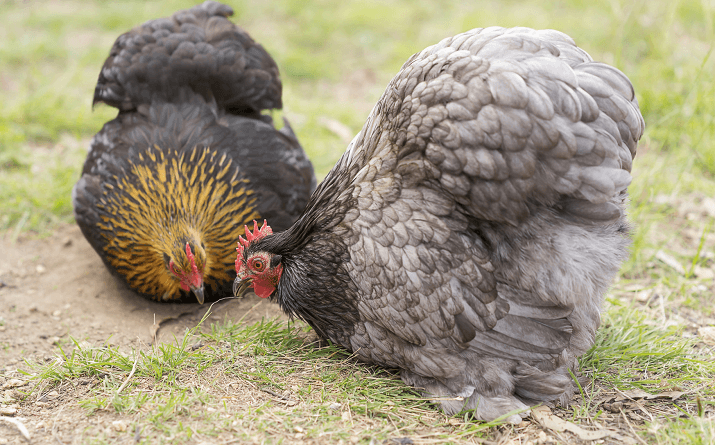 They are very cuddly, head to toe feathers – perfect for cuddling and lap time. In fact, many Cochins these days are kept as pets rather than ‘working girls’. They are calm, friendly and enjoy being pampered by their humans. 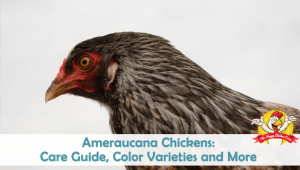 If you want more information on this delightful breed, please see our article. Excellent layers, they will produce 5 medium light brown eggs weekly. 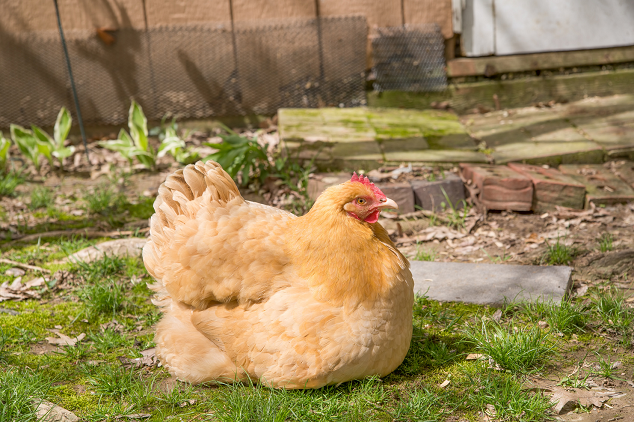 They are dual purpose hens, but rarely used for meat these days. 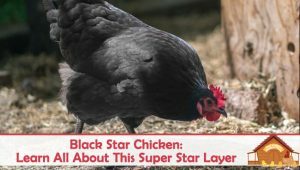 If you want an in depth look at Australorps please see our article. They are calm, docile and regal. Quiet enough to be in a small backyard, and most definitely non-aggressive. fIf you want more information on the Orpington, please see our article. Minorcas are said to thrive with human company and enjoy foraging. However, care does need to be taken with them as they are also described as ‘flighty’. They are hardy birds except in the depths of winter when their prodigious combs may suffer from frostbite. Are Jersey Giants less prone to hawk attacks because of their large size?